It’s not all that often you get to throw around a phrase like “surprisingly rewarding,” but Goerner Communication’s exhibit in one of the small rooms on the fifth floor was, in every way, surprisingly rewarding. For one thing, Reinhard Goerner was off eating lunch when I walked in. 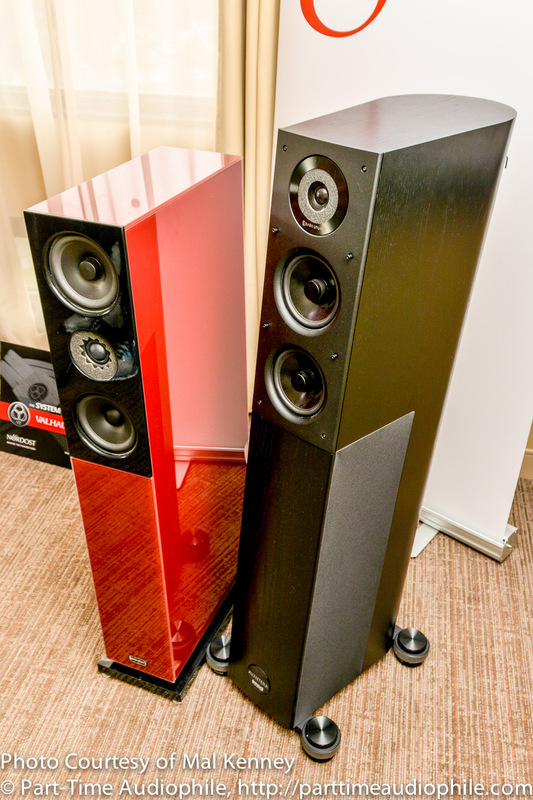 For another thing, the Audio Physic Avantera speakers ($28,000) had been unplugged. 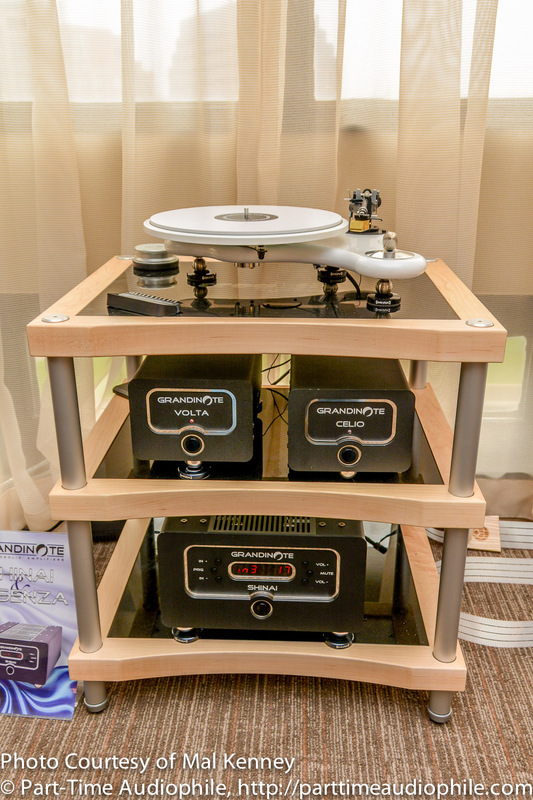 For another thing, the analog front end with a Funk Vector V turntable and FX-III tonearm ($5,300 total), London Jubilee cartridge ($3,000) and Grandinote Celio phono stage ($8,750) were sitting idle. And, as the last blow to my expectations, Redbook Mark Knopfler was playing. Don’t get me wrong, here. I enjoy Mark Knopfler as much as the next pudgy, sweating, middle-aged audiophile enjoys Mark Knopfler. Next to “Hotel California,” though, Knopfler and the Dire Straits are the go-to theme music for pudgy, sweating, middle-aged audiophiles at audio shows. After a while, it just sort of fades into the background. Just walking down the hallways, I must have heard Mark Knopfler at least fifty times that day. “Sailing to Philadelphia?” Fine. Go. Leave already. I’m begging you. “The Man’s Too Strong?” If only he’d just beat you to a pulp and make you stop. “Telegraph Road?” Well… I guess we all have our weaknesses. 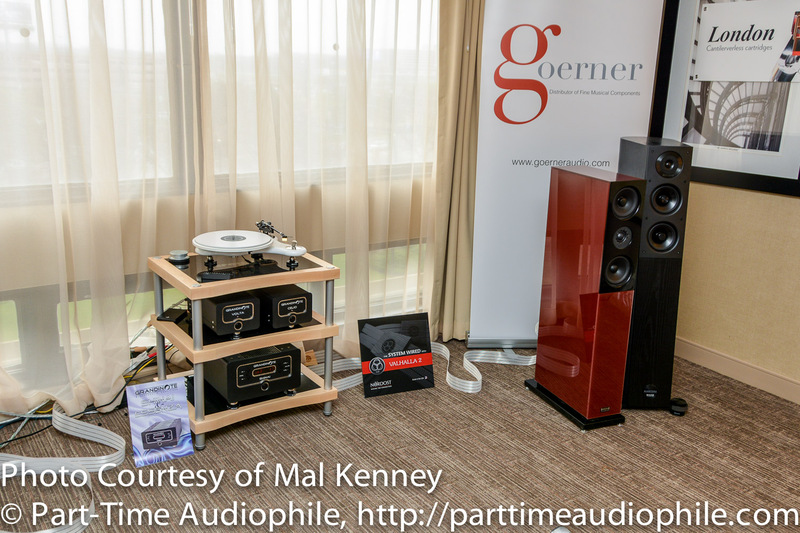 The reduced system on offer featured the Grandinote Volta music server ($12,000), the Grandinote Shinai integrated amp ($16,000) the apartment-sized Audio Physic Classic 30 speakers ($8,000), and the kind of engrossing articulation that drew me in and made me listen to all fourteen minutes of “Telegraph Road” before wondering why it had ended so soon — despite the fact that I was supposed to be covering the rest of the audio show. If that’s not “surprisingly rewarding,” really I don’t know what is.